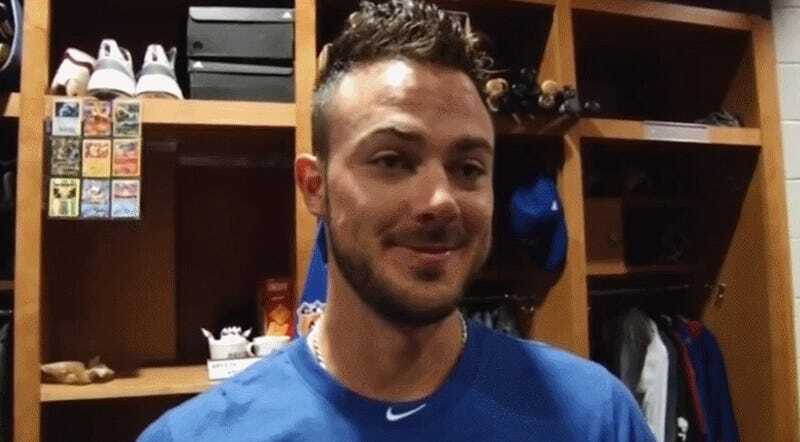 Somewhere in the Cubs locker room is the proud owner of a number of a number of rare Pokémon cards, including a holographic Zapdos, the legendary electric bird that first appeared over 20 years ago in Red and Blue. The collection, hanging below some cleats in a plastic binder slip case, was spotted by Reddit user vanilla_thunder while watching the nightly news on Chicago’s ABC 7. The players were being interviewed about the organization’s president, Theo Epstein, who was declared the greatest leader in the world by Fortune Magazine this week, beating out not only a number of other rich business people but also the Pope. 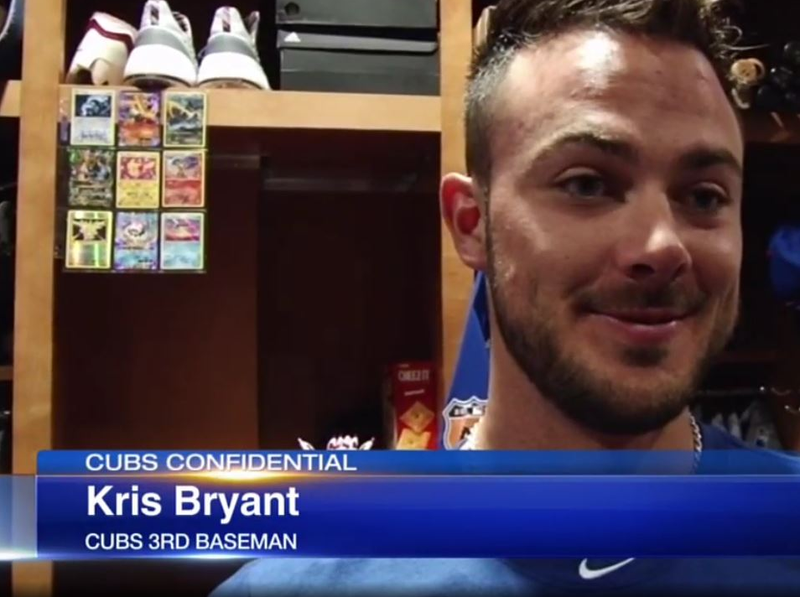 “Yea that’s very interesting,” said the team’s third basemen, Kris Bryant, appearing either very tired or stoned out of his mind as he considered the news while standing only a few feet away from one of the Pokémon trading card game’s most classic cards of all time. But while it was Bryant who was standing in front of the collection during the shot, it’s more likely that the cards belong to shortstop Addison Russell. Earlier this month as part of a Cubs Snapchat, Russell apparently showed off his Pokémon card collection which was signed by other members of the historic, World Series winning team. Since a digital version of the Pokémon trading card game was ported to smartphones a few years ago, I can only assume that’s how the 23-year old baseball pro is spending what’s left of his youth.